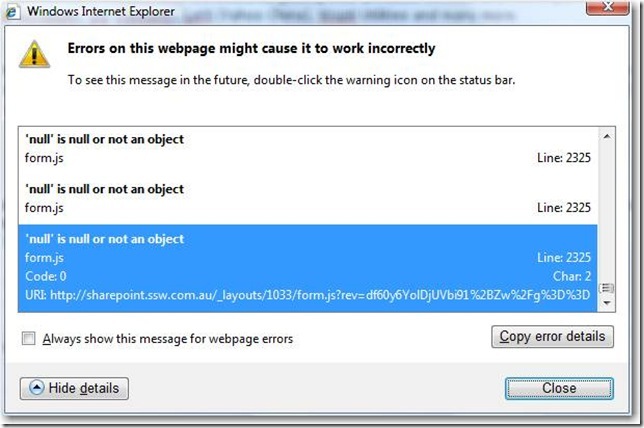 IE8 will attempt to use IE7 compatibility mode when accessing intranet sites. It will use IE8 standards mode when accessing public internet sites. 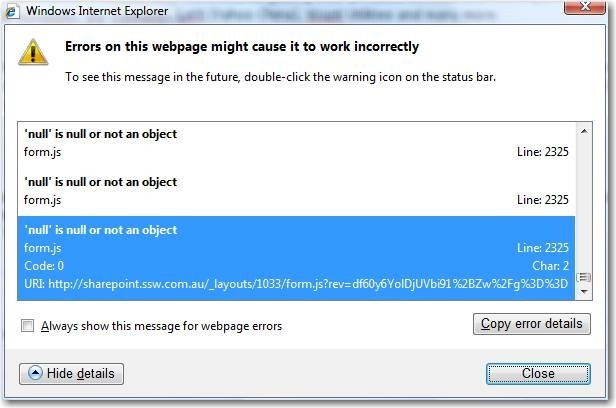 This means that when accessing your SharePoint site via the extranet URL – http://sharepoint.company.com/ you will get this error, but accessing it internally – http://sharepoint/ will be OK.